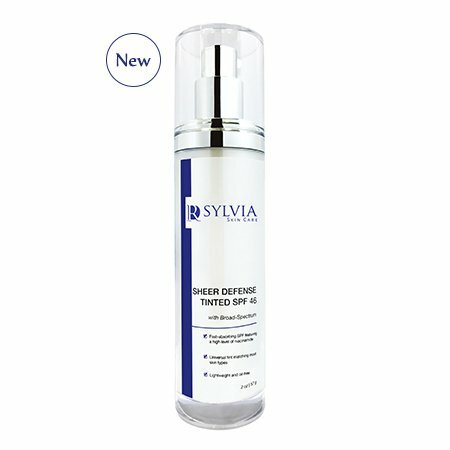 Clear Defense, a light-weight SPF 45, contains an innovative blend of actives protects skin from multiple extrinsic factors known to cause premature aging, including UVA, UVB & Infrared Radiation. Delivering a new strategy in sun protection, Clear Defense SPF 45 will provide the highest possible level of protection while restoring youthfulness to the skin. Derived from Knotweed Extract, our botanically-based active is the first of its kind, preventing damage from infrared radiation, which is believed to be just as detrimental to skin health as UVA & UVB. This fast-absorbing SPF also features a high level of Niacinamide to promote a smoother, clearer complexion. An antioxidant-rich, lightweight and oil-free SPF 46, contains an innovative blend of skin soothing properties. This universally tinted sunscreen provides the skin with broad-spectrum coverage from UVA, UVB and Infrared Radiation and combats against free radicals.